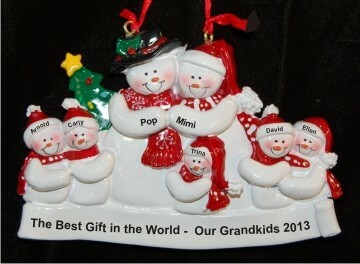 Grandparents sometimes wonder if one of their children will give them a grandchild. 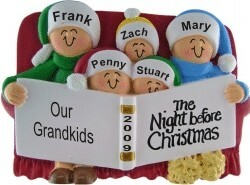 The daughter almost always does, but the arrival of the 5th grandchild often comes from the son who got married late. 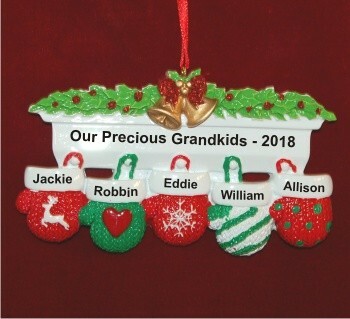 Whatever the circumstances, grandparents the world over are thrilled with the arrival of this new grandson or granddaughter. 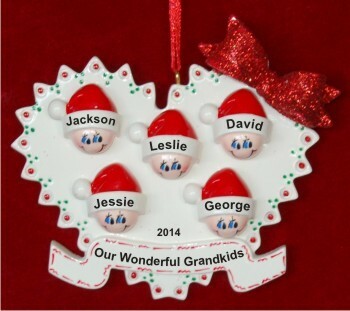 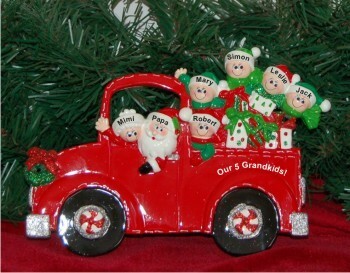 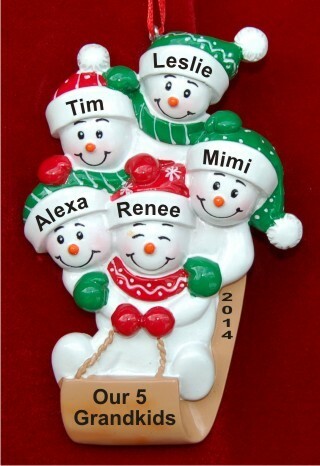 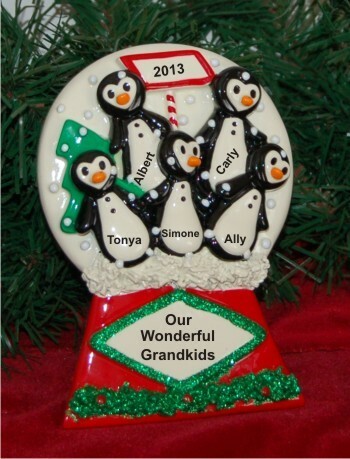 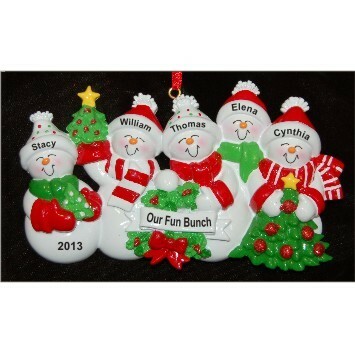 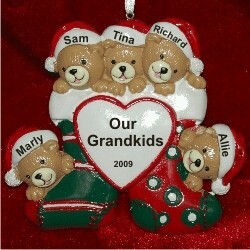 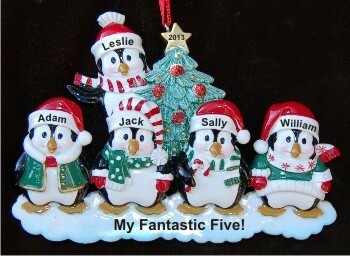 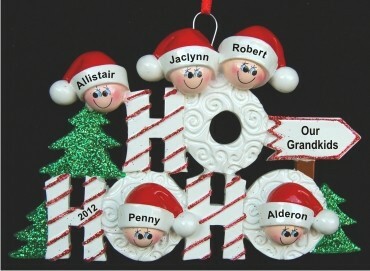 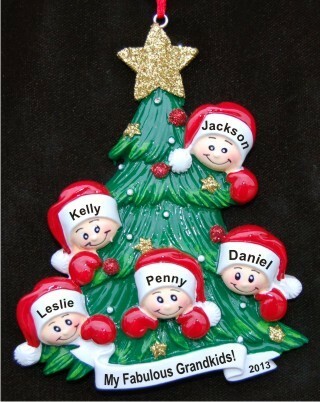 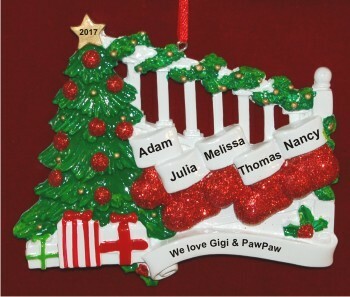 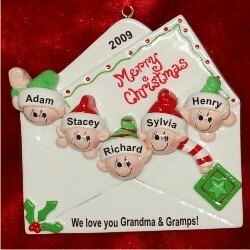 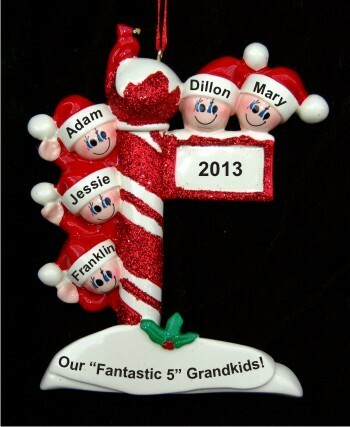 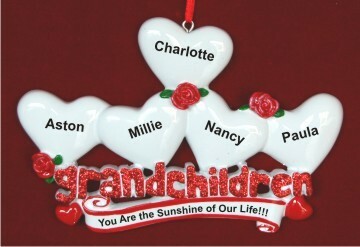 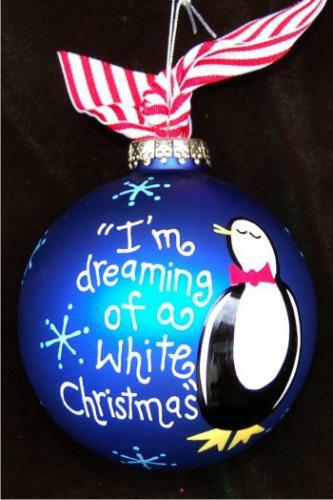 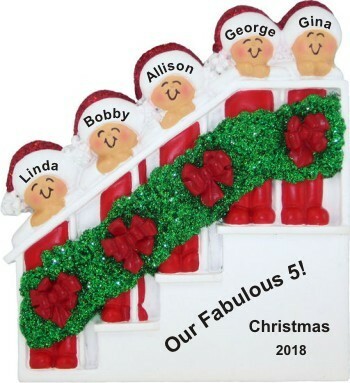 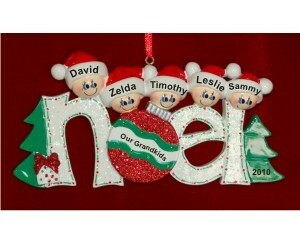 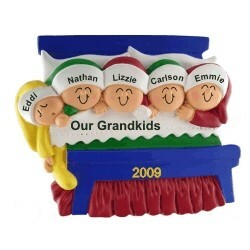 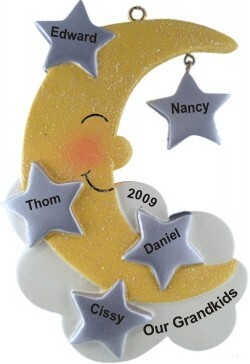 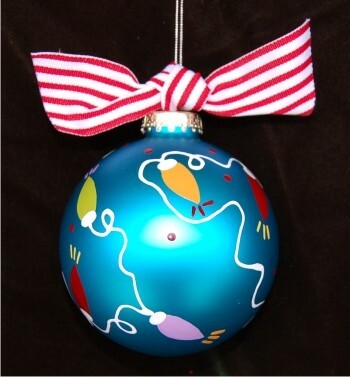 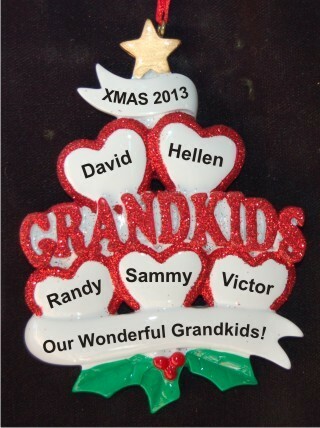 Find the perfect grandparents ornament with 5 grandkids to personalize as a thoughtful and celebratory gift for grandparents. 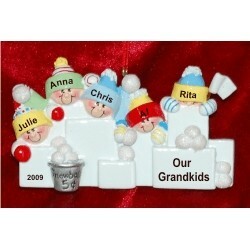 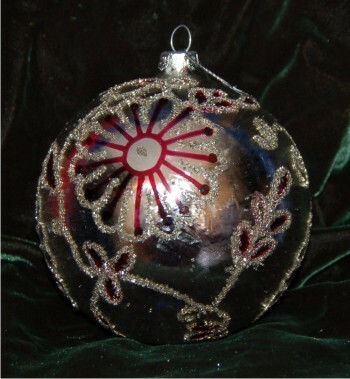 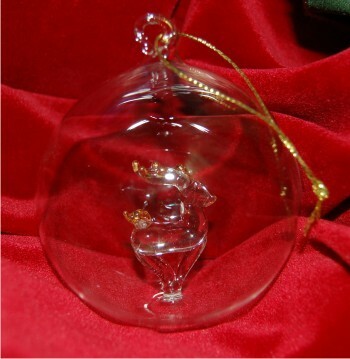 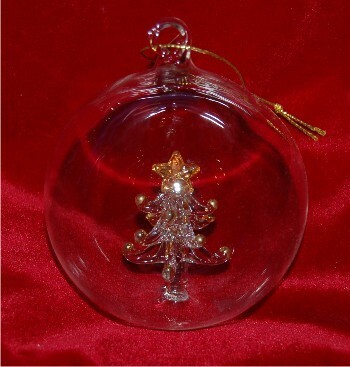 Each of these ornaments where noted arrives in our classic black velvet pouch.